When your arms are sore from shoveling snow, it’s only natural to fantasize about warmer weather. 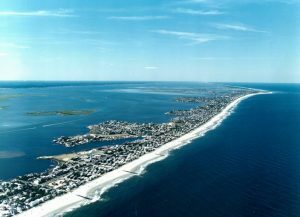 Whether you’re thinking about a permanent move to the beach or spending your whole summer on Long Beach Island, here are duplex beach homes available across all 18 miles of Long Beach Island to inspire your search for warmth. In our experience as real estate professionals, we’ve found that providing the very best service is essentially about putting our clients first. This means being accessible, being a good listener as well as a good communicator, and responding quickly to your needs. It also means using our training and experience to help our clients overcome the obstacles to achieve their goals in the marketplace. This “client first” philosophy has always been our approach and it requires us to continually improve our skills and ways of doing business. There are over 500 real estate licensees on LBI and a fewer than 100 duplex sales per year. The average agent sells a duplex every five years. The Duplex Team sells more duplexes than our two closest competitors COMBINED. Now, more than ever, you should seek the most competent professionals you can find to represent you in your next real estate transaction. So when you decide that you’d like to buy or sell a duplex on Long Beach Island, please contact Gina Laird of the LBI Duplex team at 609.618.8390 or gina@lbiduplex.com. Gina Laird is a dedicated, full time real estate professional helping Sellers and Buyers on Long Beach Island and the surrounding area. Her strong communication skills along with the latest technology, ensures constant contact with her clients. She has a broad base of real estate experience with over 25 years in the industry. Her expertise and knowledge allow her to work with Sellers and Buyers to reach their goal as quickly as possible, but will give you all the time you need. Real Estate assets are among the largest investments out there and should be handled by someone you can trust. Buying or Selling? Gina is committed to helping you with your real estate needs. Give Gina a call or text at 609.618.8390.